The 0.002m² Pocket Filter performs fast, safe demonstrations and tests of filtration, washing and drying. 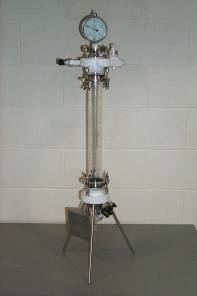 Filtering tests – perform pressure and vacuum filtration testing. The tests yield a filtration rate and cake depth as well as the optimizing of filtration pressure, filter media and filtration time. 316 L Stainless Steel, Alloy C-22 and Borosilicate Glass with Sectrans Coating. 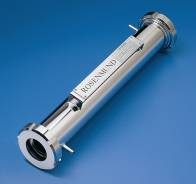 Filter media available in various materials and micron ratings. Available for purchase and rental.